Edmonds US, the parent company of Factory Fans Direct, is the leader in the highest efficiency Industrial, Commercial & Residential Hybrid Roof-Top Ventilation systems. 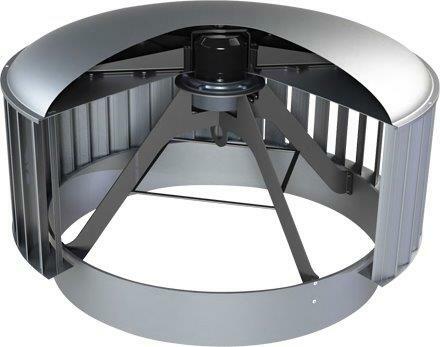 Edmonds Hybrid ecoPOWER fans utilize an EC ultra-efficient German motor and are also wind and heat driven and ultra-quiet. Edmonds Hybrid ecoPOWERS are proven to cut energy costs by up to 80% from current fans and can pay for themselves in a very short time. Edmonds Hybrid fans are perfect for: Businesses, Warehouses, Churches, Schools, Apartment Complexes, Sports Complexes, Bitcoin Facilities, Horse/Cattle Ranches, Home use and many more applications. GO GREEN and SAVE with Edmonds US. Call 888-849-1233 for EXPERT ADVICE and FACTORY DIRECT PRICING.